THE KING OF FIGHTERS XIV's latest patch ver. 3.11 is now available to download. THE KING OF FIGHTERS XIV's latest patch ver. 3.10 is now available to download. THE KING OF FIGHTERS XIV's latest patch ver. 3.02 is now available to download. THE KING OF FIGHTERS XIV's latest patch ver. 3.01 is now available to download. THE KING OF FIGHTERS XIV's latest patch ver. 3.00 is now available to download. ・Playable DLC characters have been added. ・New stages have been added. ・Functionality improvements along with bug fixes have been implemented. 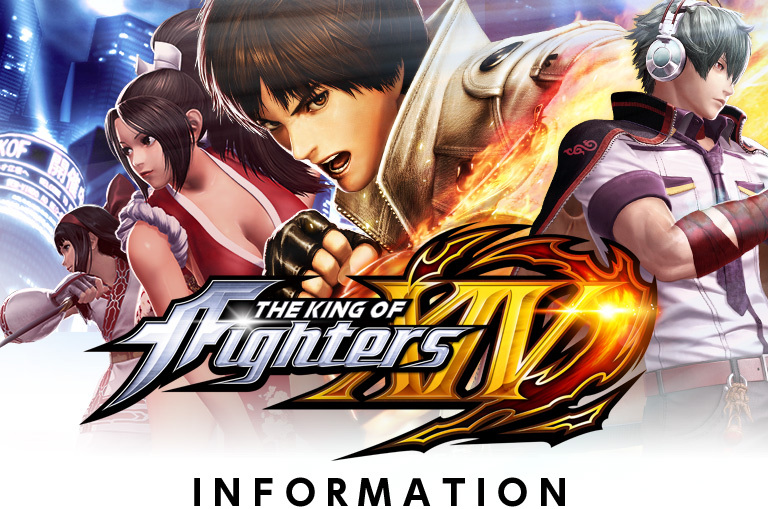 THE KING OF FIGHTERS XIV's latest patch ver. 2.01 is now available to download. THE KING OF FIGHTERS XIV's latest patch ver. 2.00 is now available to download. THE KING OF FIGHTERS XIV's latest patch ver. 1.12 is now available to download. ・Improvements of the online matching features. Please check the PDF document below in order to know more about the details of the latest patch ver. 1.12. ・When you updated to the version 1.11, playtime was reset to 0. We did our best to fix this issue, but we couldn't restore unfortunately the playtime that has been already reset. We are sincerely sorry for the inconvenience caused and thank you for your understanding. THE KING OF FIGHTERS XIV's latest patch ver. 1.11 is now available to download. Please check the PDF document below in order to know more about the details of the latest patch ver. 1.11. Furthermore, we will update a new patch Ver.1.12 soon to fix online matching and other issues. We are sorry for the inconvenience and thank you for your understanding. ・Certain users may not be able to acquire new "Titles" online. THE KING OF FIGHTERS XIV's latest patch ver. 1.10 is now available to download. ・Improved display on graphics and characters. ・Increased color variations for each character from 4 to 6 colors. ・Addressed other issues and improved functionalities. Please check the PDF document below in order to know more about the details of the latest patch ver. 1.10. THE KING OF FIGHTERS XIV's latest patch ver. 1.05 is now available to download. Please check the PDF document below in order to know more about the details of the latest patch ver. 1.05. THE KING OF FIGHTERS XIV's latest patch ver. 1.04 is now available to download. ・Fixed the bug that caused the game to crash in Story Mode with specific teams. ・Minor bugs fixed (Text, etc...). Please check the PDF document below in order to know more about the details of the latest patch ver. 1.04. THE KING OF FIGHTERS XIV's latest patch ver. 1.03 is now available to download. Please check the PDF document below in order to know more about the details of the latest patch ver. 1.03. ※Design and specifications are subject to change.